Our representative is traveling to San Francisco. Anybody up for a drink? It's been a little over two months since we've launched Twenity. That translates into almost 1.000 players, but it's time to raise the stakes. Our representative Grega Stritar will be going to San Francisco tomorrow, where the real magic happens. Silicon Valley is the final destination for most services such as Twenity, and we have to see for ourselves, what can be done. 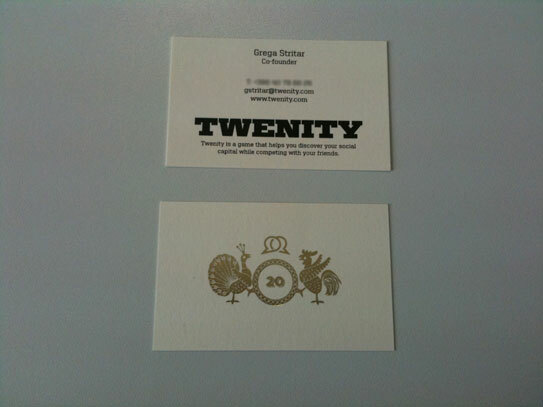 If you are interested in finding out more about Twenity or just looking for a casual talk, feel free to contact him. He will be more than happy to answer all your questions about Twenity and Slovenia or just spend some quality time, between March 1st and March 15th. You can reach him on Twitter or send him a direct email. Twenity was launched on December 21st 2011, as part the last Web Hours (Spletne urice or #wwwh) of the season in Kiberpipa. We have decided on this because #wwwh and Kiberpipa are one of the strongest gathering points of Slovenian web culture, and some of us are quite regular attendees and lecturers. This turned out to be a great idea, since we've managed to get fantastic feedback and had a great time at the new year's party that followed the presentation and launch. Twenity was introduced to the audience by Robert Ilovar from IlovarStritar and Grega Stritar from Neolab (who has nothing to do with Stritar from IlovarStritar). 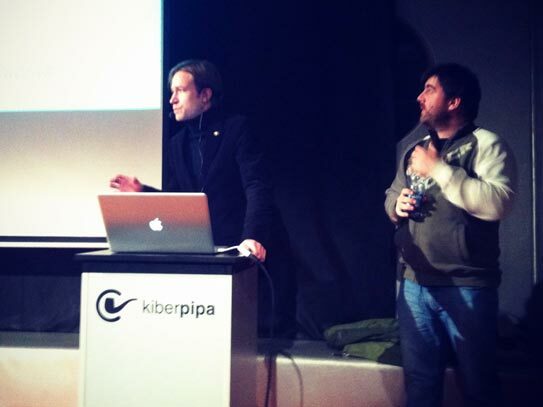 Most concepts behind Twenity were revealed and the presentation was well accepted. Grega (on the right) started off by presenting the calculation and the adventure components, Robert (on the left) followed by presenting the design elements and the marketing strategies. We knew we needed all the help we can get to get the initial players on Twenity. The geeks of #wwwh were more than helpful, as always, supporting the local initiative. Thank your for that! 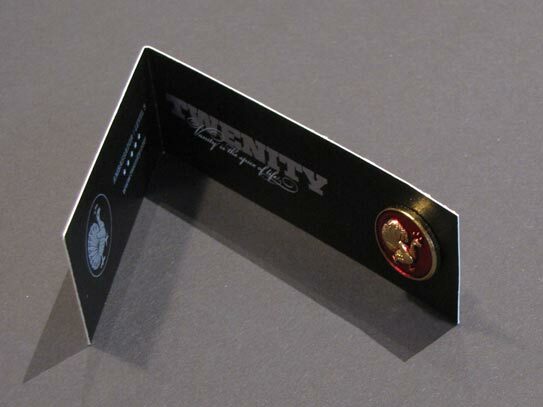 We came prepared too, everybody that tweeted their results or used the hashtag #twenity on that day, received a real-life metal Twenity badge. Twenity ambassador, level 5. The results were amazing. We've managed to attract more than 200 players on the same day! We went viral! As you can see on the following screenshot from sitweet.com, which analyzes the Slovenian twittersphere, Twenity was all over the place, becoming a local trending topic. After the initial push, things cooled off a bit, at least in the number of new players registering to Twenity. This was to be expected. 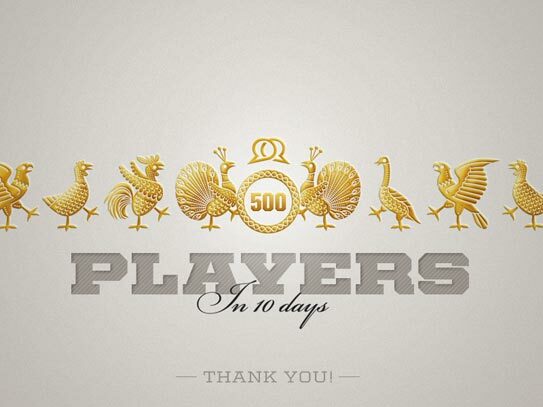 Our optimistic goal was to have 500 players before the new year's, and we've reached that number on December 31st. Currently, there are more than 900 players competing, and we are very happy with these numbers, also because Twenity is slowly penetrating other countries as well (recorded by the unofficial blog). Time to shift into higher gear. We are very grateful for all of this, because we know you've made this possible. Yes, you.